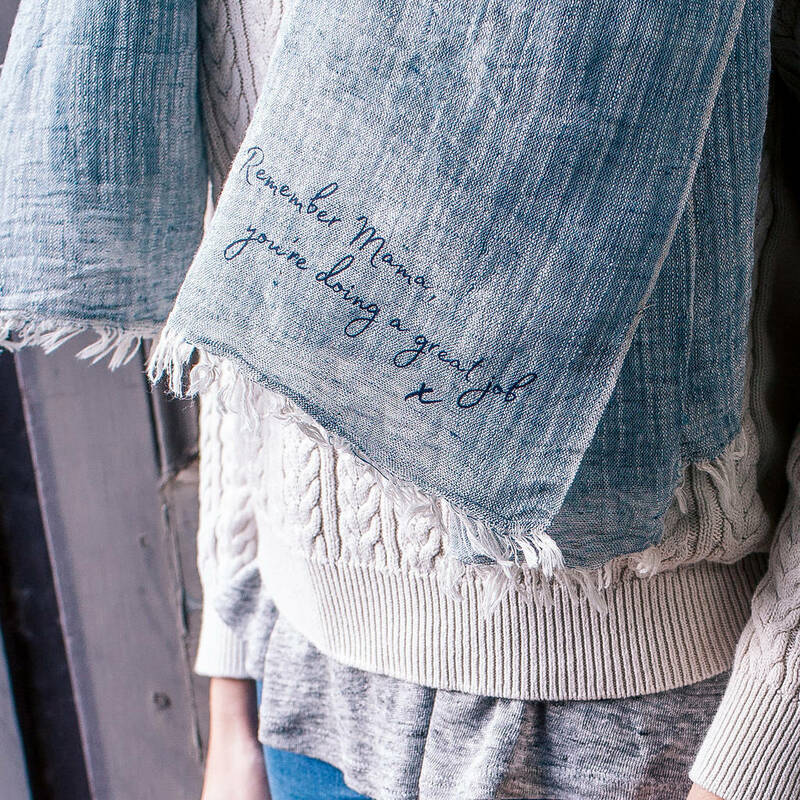 The Personalised You're Doing A Great Job Linen Scarf is the perfect gift for Mother's day. 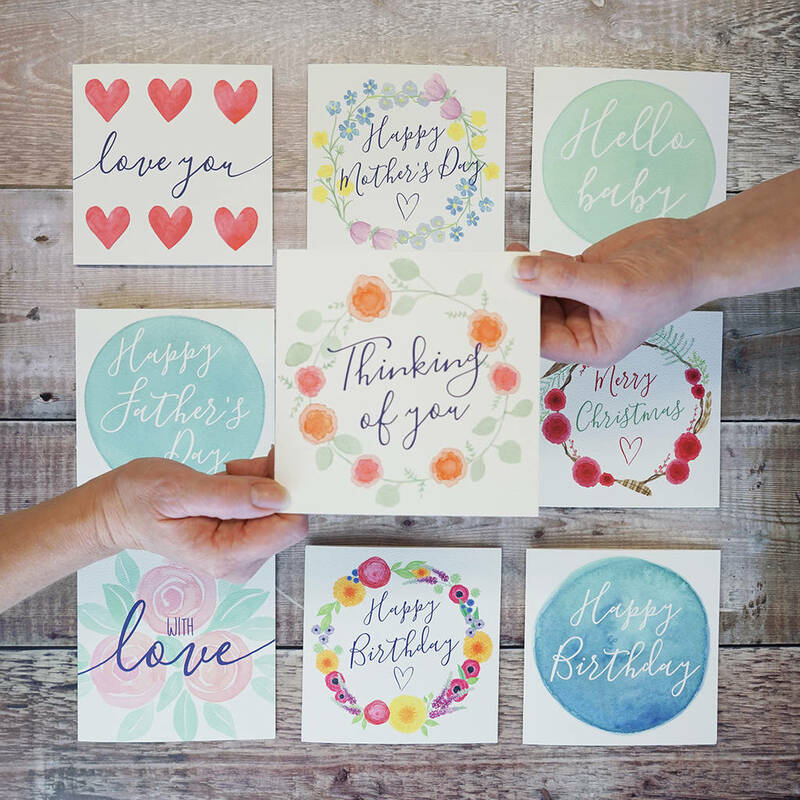 It's a lovely way to send a thoughtful message to someone you love. 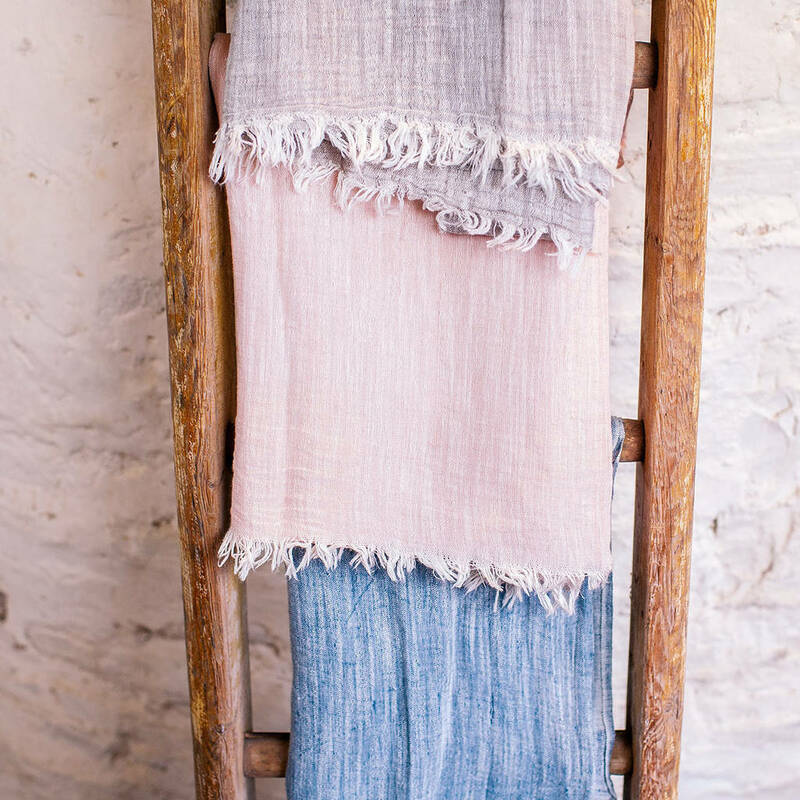 The scarf is made from beautiful linen in a choice of three colours with a fringed edging. 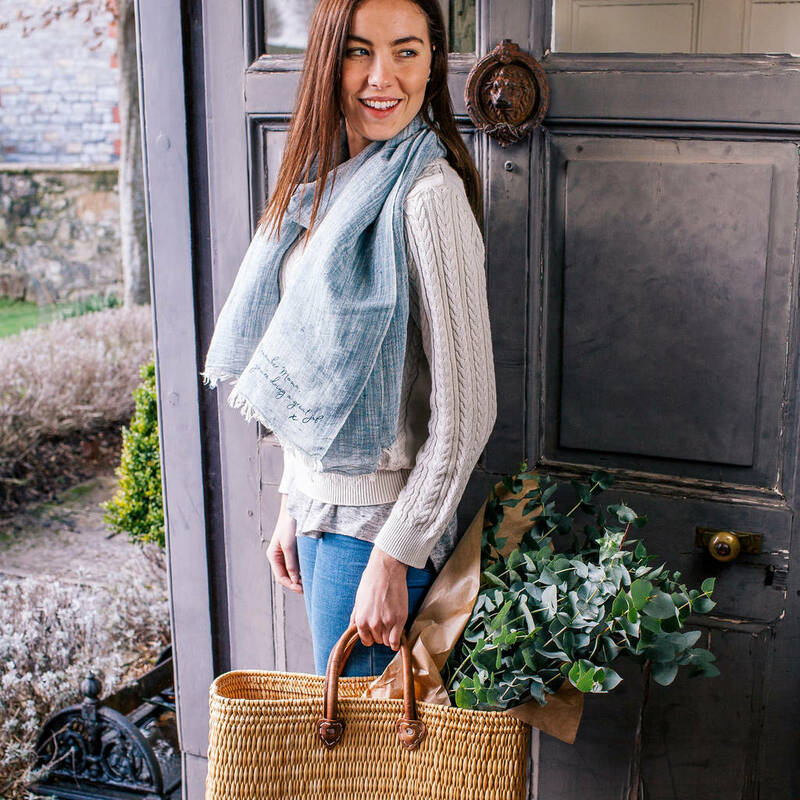 It's a lovely large size that can be worn in a variety of ways and can be worn as a shawl too. We can add your special message in our beautiful lettering for those special moments in life, perhaps 'Mama you're doing an amazing job' for a new Mum or 'You are capable of amazing things' for someone who needs a confidence boost. 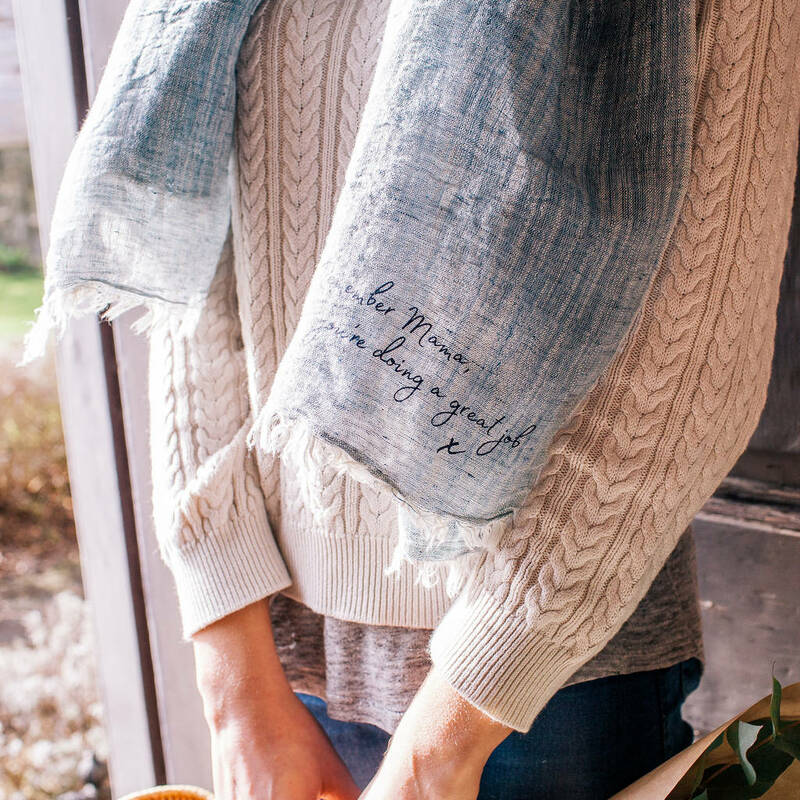 Create that truly thoughtful gift that celebrates all life's moments, our personalised scarf is the perfect birthday gift or Mother's day gift. A lovely gift for your girlfriend, wife, sister, auntie, mum, grandmother for mother's day, their birthday, wedding anniversary, valentine's day or Christmas. 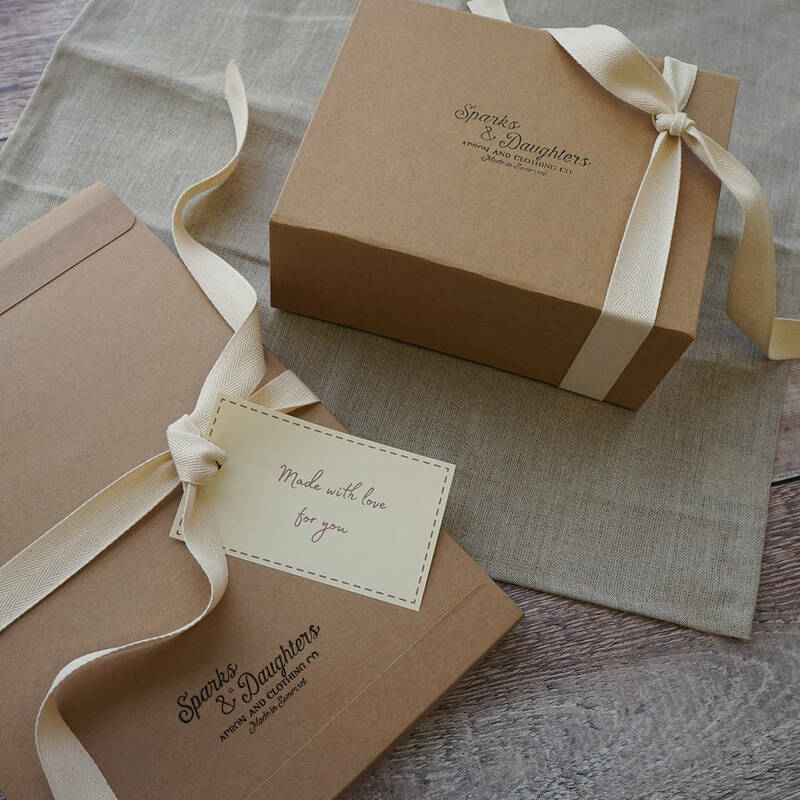 You can add gift wrap to your order and we have a variety of cards for you to send with your gift. We can also add your message inside the card and send your gift direct to the recipient for you. We have a range of gift wrap available so we will choose the most appropriate size for your gift. There is only one postage charge when you order more than one item with Sparks Clothing. We have lots of other scarf designs and personalised gifts, take a look at 'see sellers complete range' below.